Pointer Tripe Sticks are made from only the best available ingredients, which produces a delicious treat that your dog is bound to love. Cereals, vegetable protein extracts, meat and animal derivatives (min 25% Tripe), vegetable by products, sugar, oils, fats and minerals. Also contains EC permitted antioxidants and colourants. Treat your dog with 1 to 3 Pointer Tripe Sticks a day, depending on the size of your dog. Fresh drinking water should always be available. 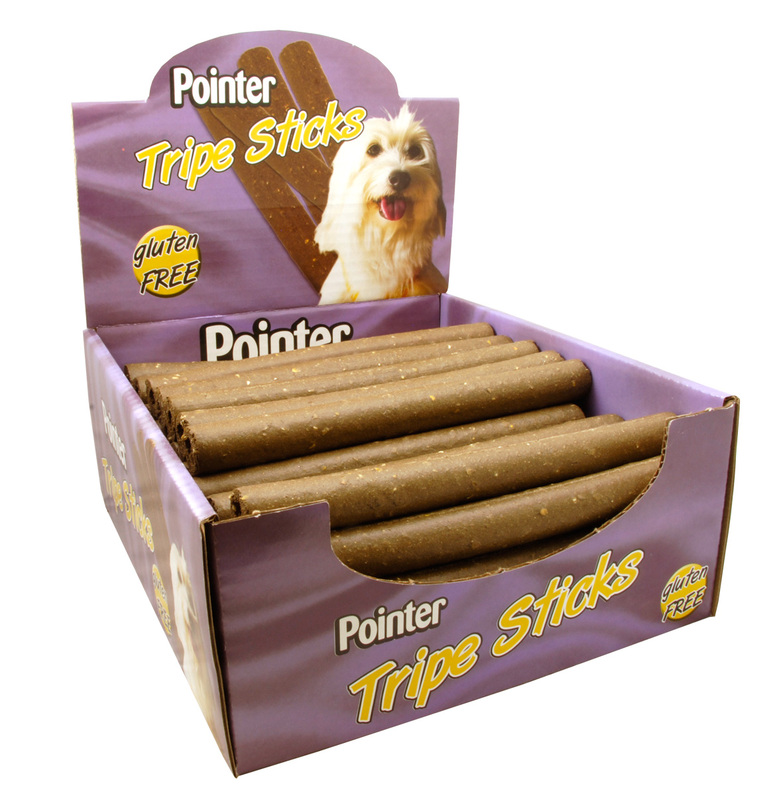 There are currently no questions for Pointer Tripe Sticks Dog Treats - be the first to ask one!